Day 358 - Merry Christmas! … and thank you all for your continuing interest in Foolish Lego. Just as I’d like to thank my family for being the joy in my life. And HERE’s the latest episode of the Foolish Lego webcomic, episode 143! Thank you very much my friend. May the stars in your life and the lives of your loved ones shine brightly. Thank you very much! I hope you and your loved ones are having a great one too. 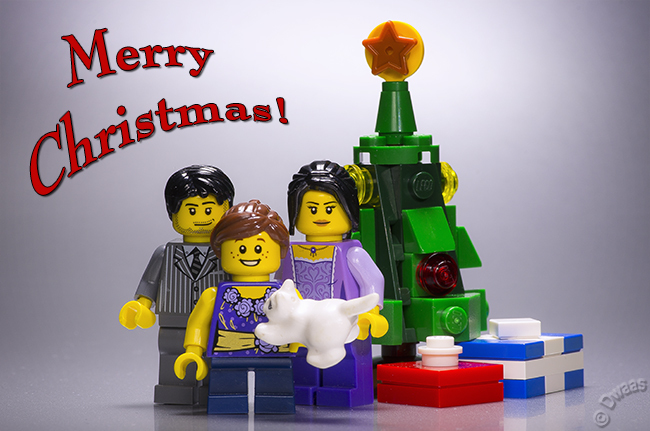 Merry Christmas LEGO fans, no better time of the year for us! And A merry Christmas to you and you family too my friend. Would you like to create your own brick comic? Look no further because Dwaas wrote the Definite guide to creating a Lego comic! Your thirst for Lego brick comics might still be present after reading the Foolish Lego Comic. So, Dwaas compiled the ultimate list of Lego comics on the Internet for you. Welcome to Foolish Bricks, a site full of Lego photography, Lego comics, behind the scenes posts, tutorials and guides. Dive into Dwaas‘ foolish world, and – just for a moment – leave the ordinary world behind. LEGO® is a trademark of the LEGO Group of companies which does not sponsor, authorize or endorse this site. Visit the official LEGO website at Lego.com.